Automotive Parts Headquarters has a rich history in the Upper Midwest. With over 1,200 employees and more than 150 locations, we’ve long been trusted for our friendly service and deep knowledge in the automotive industry. But our roots are humble, and founded on hard work. 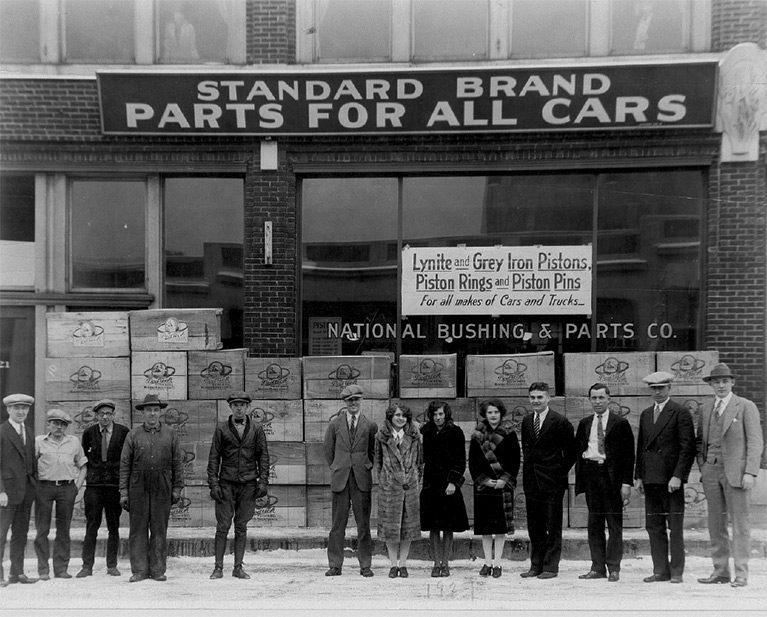 Back in 1920, Ray Riley and Aime Pouliot formed the National Bushing & Parts Company in Minneapolis. The company manufactured and sold bronze bushings, and distributed replacement parts to a growing repair trade for automobiles such as Pierce Arrow, Packard and Ford. The company found its niche in machine shop work. 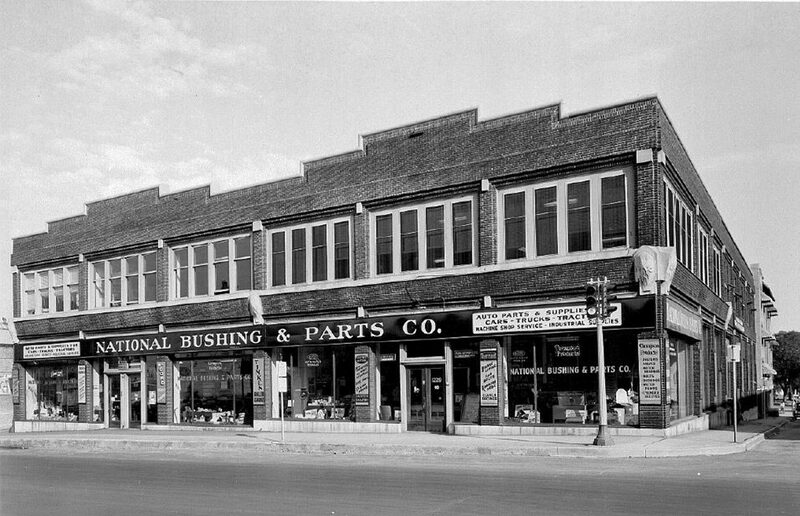 We sold off the bushing part of the company, and by the mid-1930s had opened wholesale parts stores in St. Paul, Rochester, Mankato, Fergus Falls, and St. Cloud. This is where Jack Bartlett comes in. Jack joined the company as a janitor in 1938, while still finishing high school. Over the years, he worked his way up to store manager. In 1959, this former janitor became financial partner in the St. Cloud store and several other locations. 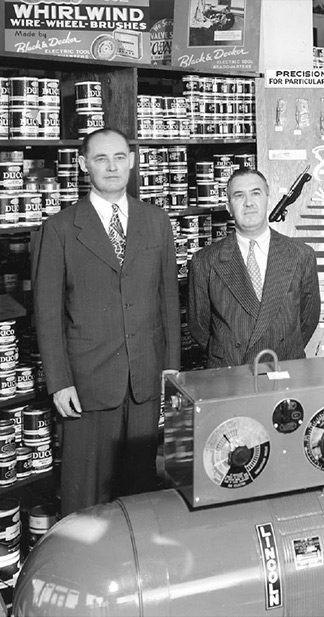 Under his leadership, the company acquired Minnesota Parts Warehouse, which ultimately became Automotive Parts Headquarters (APH), and moved the distribution center location in 1972 to 29th Avenue in St. Cloud. Jack passed away in 1976. His son, John, was well-equipped to step in as president. 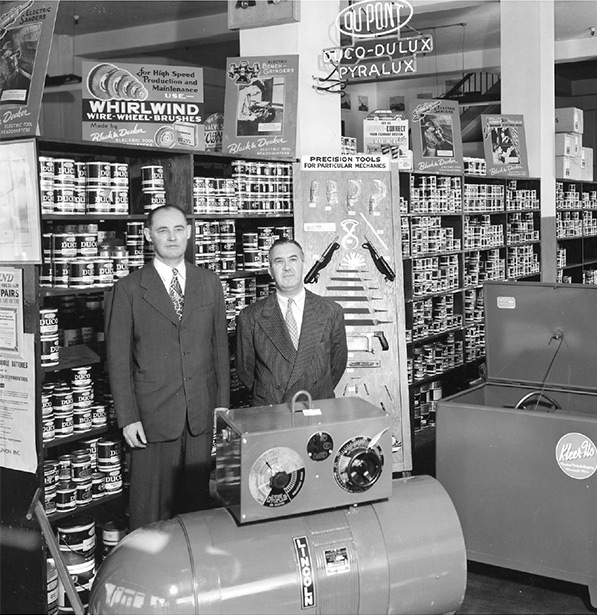 Through the 1980s and 1990s, the business continued to expand under John’s leadership. Today, John continues to serve as CEO, while the role of president is held by a third generation of the Bartlett family, Corey, who had previously served on a management team in the company. Under a strong family tradition, Auto Value Parts Stores have built a legacy in the industry. We are consistently ranked in the Top 20 Super Stores, according to Babcox Media, and since 1986 have been part of Aftermarket Auto Parts Alliance, one of the largest auto parts distribution networks in the world. We’re a brand the Midwest trusts. We’re thankful for that. Visit autovaluestores.com to see how we can serve you. Copyright © Automotive Parts Headquarters, Inc. All Rights Reserved.